This sixpenny guide appears to be from the 1920s and shows the knot worked on canvas with a crochet hook. It recommends either J & J Baldwin's or Beehive (i.e. patons) rug wool and 8-hole canvas. Baldwin's 8-hole canvas had tramlines on the warp and weft. Later on, latch hook Method 1 and Method 2 became more widely used. 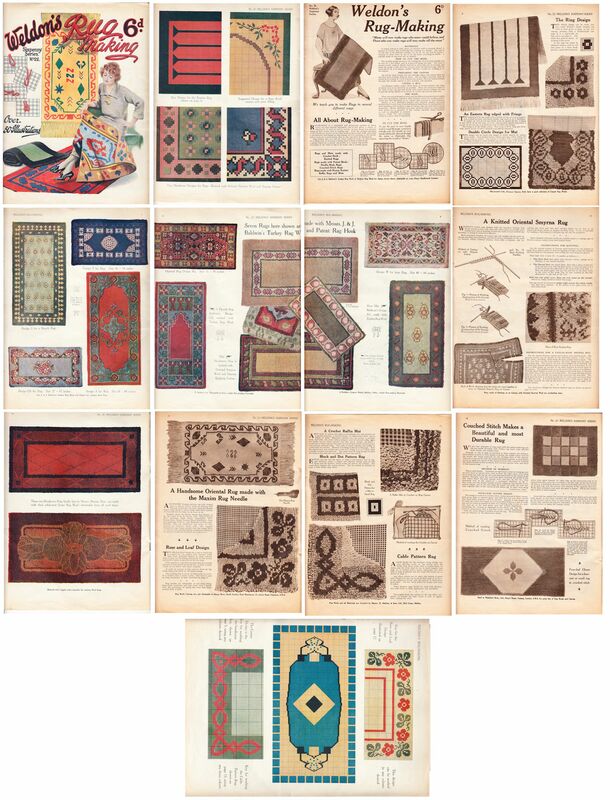 Rugmaking with a patent hook was also shown and there were several colour charts in the book (Baldwins pattern charts were recommended).